Protecting life and property is mission critical for any business and requires a fundamental trust in the systems you have in place. At State Systems, we have a long-standing tradition of providing the fire protection equipment, training, and services that businesses throughout the Dyersburg, Tennessee area have come to depend on. 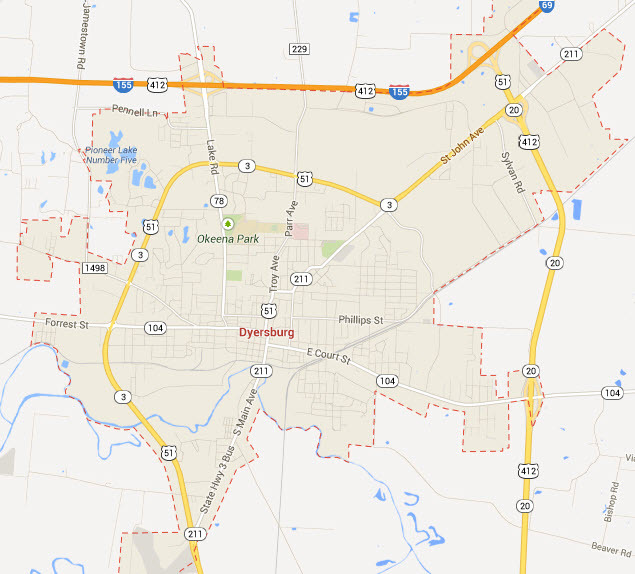 If your business is located in Dyersburg, TN, you have a lot of bragging points—from recognized as one of the “50 Best Small Southern Towns” with other 45 local buildings on the National Register of Historic Places to being known as the gateway to middle America. Directed by our heritage and empowered by our mission, our team is committed to protecting not only your business investments, but also your very life with top-of-the-line fire protection solutions. Whether your business hires Dyersburg State graduates or has been recently featured in the Dyersburg State Gazette, our professional and licensed technicians at State Systems Inc. can design the best fire protection system for your Dyer County building or office space. A fire extinguisher can be your most valuable resource when a fire breaks out – provided it is well-maintained. In fact, going for a fire extinguisher and finding out it doesn’t work can be worse than not having one at all! At State Systems, we can help make sure your fire extinguishers are always available, charged, and ready to keep you safe at a moment’s notice. We take care of fire extinguishers throughout the Dyersburg, Tennessee area, with services ranging from fire extinguisher sales and installation to repair, recharge, and replacement. We sell fire extinguishers from most of the top manufacturers, including ANSUL, Amerex, and Pyro-Chem. We also provide fire extinguisher training in Dyersburg, Tennessee, so your employees and colleagues will know exactly what to do in the event of a fire emergency in your building.